The Inter-American Development Bank (IDB) announced that PowerMundo, a Colorado-based international social enterprise, was selected as one of 10 winners of the 2013 IDEAS Energy Innovation Contest, an initiative to prom ote innovative solutions to energy problems, benefit communities, create jobs and expand access to renewable energy in Latin America and the Caribbean. The IDB chose PowerMundo’s proposal entitled “Digital Diesel: Pay As You Go Financing for Solar Energy in Rural Peru” as one of the top 10 proposals in a field of 563 applicants. PowerMundo will receive $100,000, technical and business development support, as well as access to experts, policy makers, institutions and potential financial partners to implement and scale up its ideas. 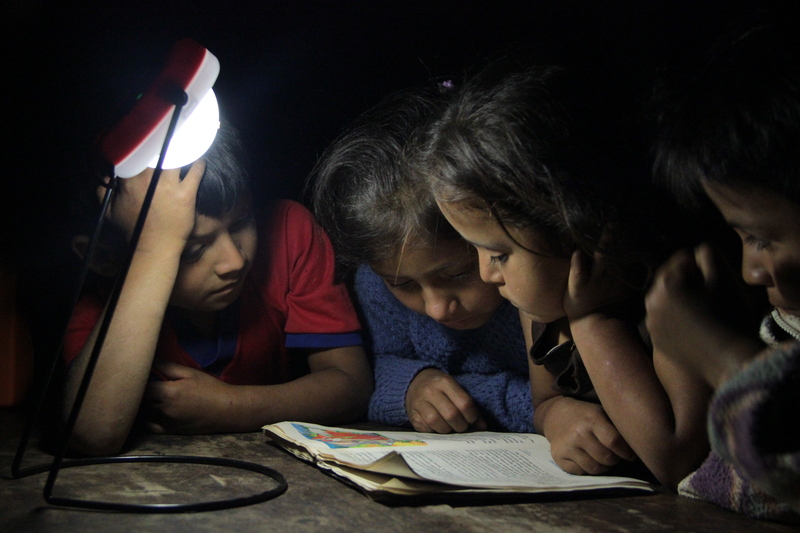 Over 4 million Peruvians lack access to electricity and thus rely on dirty, dangerous, and expensive fuels for energy. The average Peruvian family at the economic base of the pyramid (BOP) spends up to 50 US cents per day, or more than 10% of their daily income, on diesel fuel to fill a lantern for one night of light. In addition to the harmful indoor air pollution, accidents with diesel lanterns have led to debilitating burns and even death. If more Peruvians could invest those 50 cents per day towards a solar energy system for their home, they could save hundreds of dollars, live healthier lives and protect the environment. With years of experience distributing clean energy technology (cleantech) in Latin America, PowerMundo recognizes that a lack of awareness about cleantech, high ‘last mile’ distribution costs, and especially the lack of efficient customer credit inhibit the rapid uptake of cleantech solutions. To solve these challenges, PowerMundo will introduce an innovative, digital pay-as-you-go (PAYG) financing technology that allows end-users to digitally pay for cleantech in installments. This pioneering, game-changing system eliminates the initial financial barrier to access to solar energy. Each payment can activate a solar light for a specific period of time, and ultimately, the customer owns the light after making a set number of payments. After evaluating several technology options, PowerMundo determined Colorado-based diviPower to be the ideal partner to test and scale this technology in Latin America. PowerMundo’s partnership with diviPower has the potential to greatly increase access to energy. PowerMundo is a social enterprise that started at Colorado State University in 2007. In addition to its field office in Lima, Peru, PowerMundo is part of the Posner Center for International Development in Denver, Colorado. By continuing to innovate and develop leading edge marketing, financing and distribution models, PowerMundo improves access to solar and other clean technologies to help people in developing communities improve their livelihoods, well-being, and environment. PowerMundo has replicated its business model in Honduras with Coloradan and Honduran partners Trees, Water & People and the Honduran Association for Sustainable Development. Additionally, PowerMundo collaborates with Elephant Energy in Namibia and Eagle Energy in the Navajo Nation. PowerMundo and its partners are rapidly scaling up their positive impact and their effectiveness in increasing access to energy around the globe. The IDB, established in 1959, is the largest source of financing for development in Latin America and the Caribbean. In 2012, the IDB granted $11.4 billion to help partners eliminate poverty and inequality, and promote sustainable economic growth. This IDB award complements PowerMundo’s existing support from the U.S. State Department’s Energy and Climate Partnership of the Americas (ECPA) program and the Renewable Energy & Energy Efficiency Partnership (REEEP). ECPA is a regional partnership to promote clean energy, low-carbon development, and climate-resilient growth. REEEP is a market catalyst for scaling up clean energy business models in developing countries and emerging markets. For more information, read the announcement or contact Michael Callahan.